The classic white pearl has always represented sophistication and elegance, making it the perfect choice for any pearl lover. 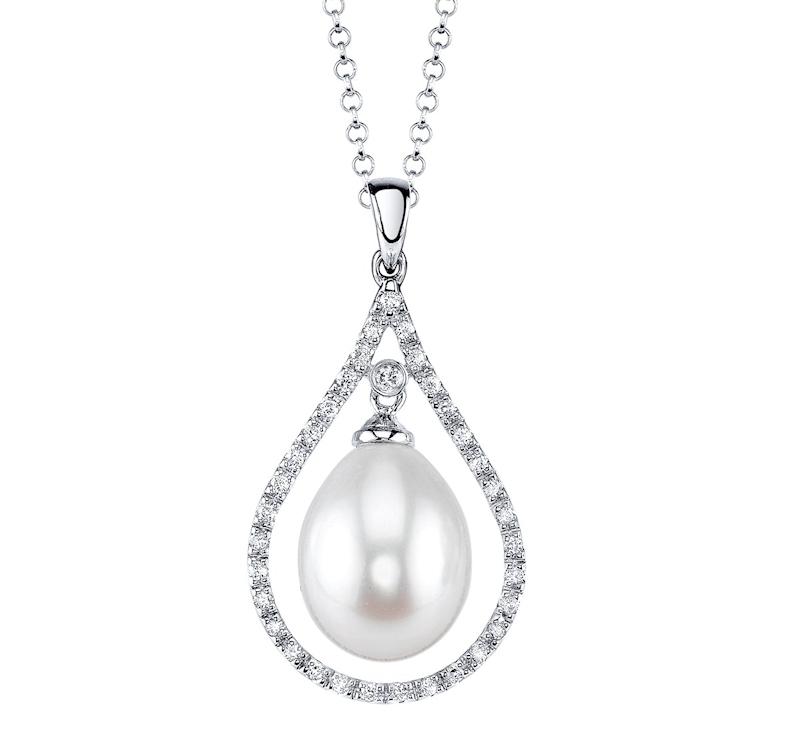 White pearls are symbolic of innocence, beauty, and new beginnings, making these gemstones a classic favorite. As the most common pearl color created by the oyster, white pearls have been the air of sophistication, class, and status for centuries. And, in recent years, these gems have topped the charts of some of the hottest fashion trends. 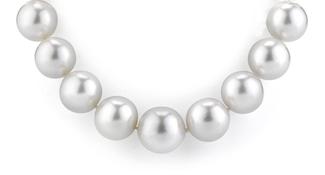 Even with the ever-changing times, white pearls are still the most common color found in the jewelry market today. These natural gems are cultivated using freshwater mussels on pearl farms. Best known for their wide variety of colors, sizes, and whimsical shapes, Freshwater pearls have their own unique character. 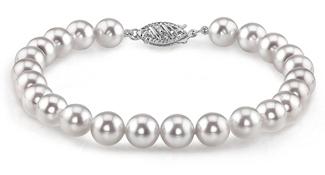 Cultivating freshwater pearls are the only gemstones that come from a living creature. So, not only do they look amazing, they are indeed Mother Nature’s gem. Cultured Akoya pearls are the most popular choice for creating elegant strands of pearls and pearl earrings. Akoya oysters are the grand creators of these quality gems, primarily cultivated in China and Japan, making these gemstones very lustrous. 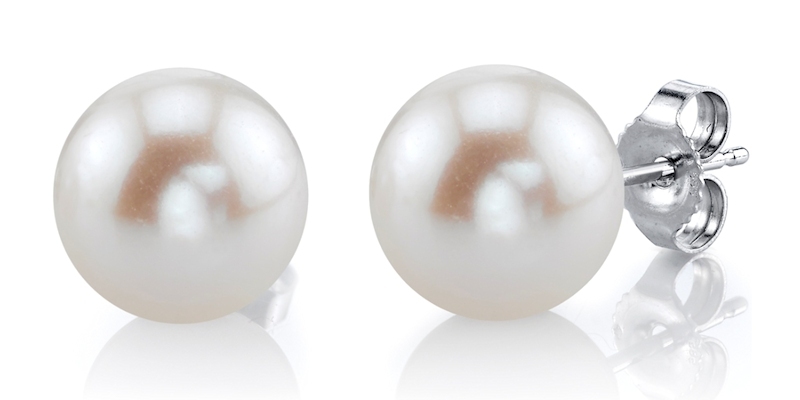 Their pearl colors are generally cream colored with white, silver, ivory or rose overtones. The Ferraris of the pearl world, Hanadama meaning spherical flower in Japanese, therefore referred to as Flower Pearls. 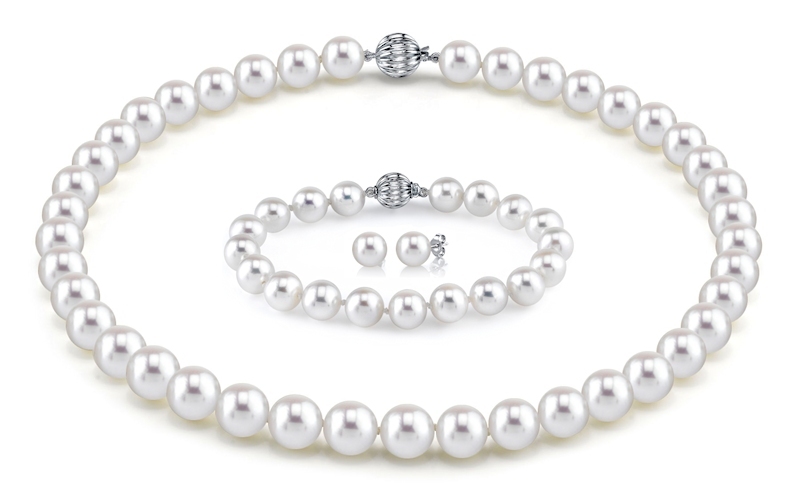 These pearls are Certified by the Pearl Science Laboratory (PSL) of Japan. They are world-renowned, due to their outstanding luster and orient. The only gems that qualify to carry the name Hanadama pearls are those certified by PSL, which rigorously test the gems for luster, surface, nacre thickness, and Aurora. 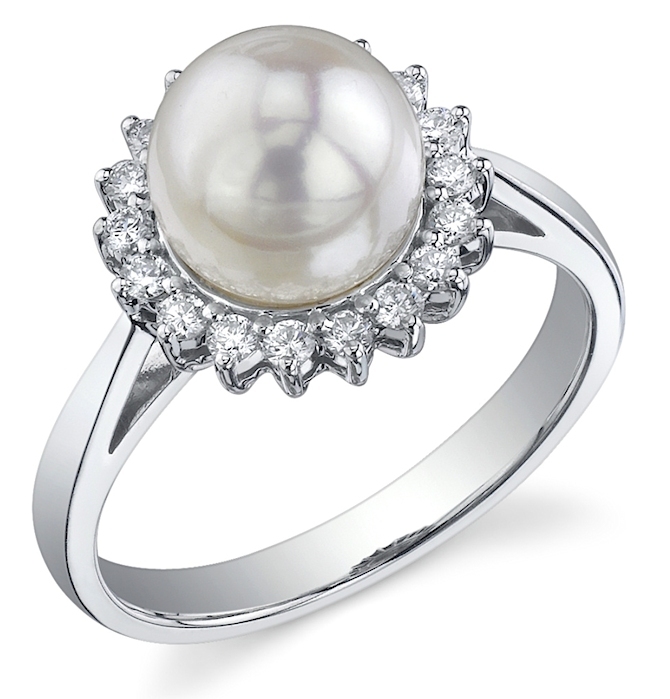 White South Sea pearls are generally very large gems, much bigger than other types of pearls. These gemstones also have, on average, the thickest nacre of all cultured pearls. Produced by the Pinctada Maxima oyster, they have a gorgeous exquisite luster and are available in numerous sizes and shapes. White South Sea pearls are typically a creamy white color with overtones of silver.